A new range has been launched by top architectural fabrications manufacturer Metalline. The FX range of rainscreen and insulated panels was launched to the market place at the beginning of 2018, and has a lot to offer. The FX panels give clients the chance to add a visually striking 3D element to the façade. Metalline has worked continuously to improve their skills, to ensure that they can provide the best facades, rainscreen panels and other architectural fabrications possible. They have developed a full range of patterns and designs in the FX range, however they will also work with you to create your own bespoke designs for the project. The panels are available in a range of different finishes, such as anodised or PPC, and can be produced in any colour, making the possibilities endless. The panels can be made up to 6 meters in length, and they are allowing their customers to provide designs that have never been seen before. Metalline have invested in state of the art machinery to make all this possible, and will work closely with you to create the perfect façade for your project. This means that they can provide you with the ideal product to give your building the finish it deserves to stand out. 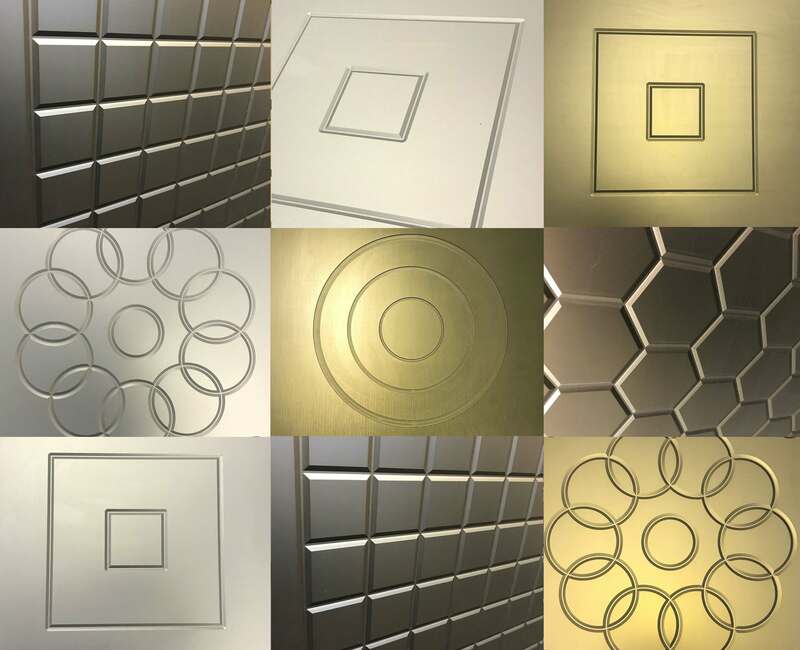 For more information on our FX panels range please take a look at the products here.